Home / Allgemein / Sector #31 with Phase Fatale at Artheater CGN. 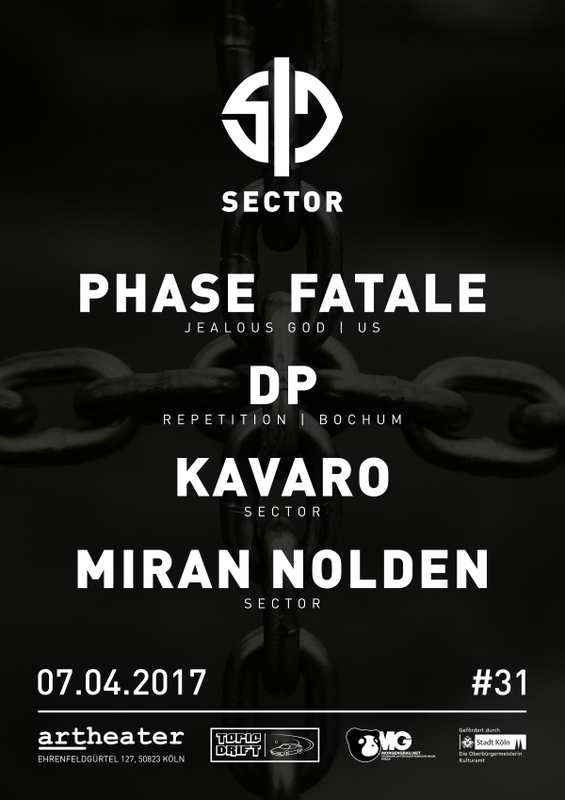 Sector #31 with Phase Fatale at Artheater CGN. For April 7th we invited Hayden Payne aka Phase Fatale from NY for a 3 hour dj set. Also invited is Dennis Pabst from the Repetition series in Bochum, supported by our residents Kavaro and Miran Nolden this night.